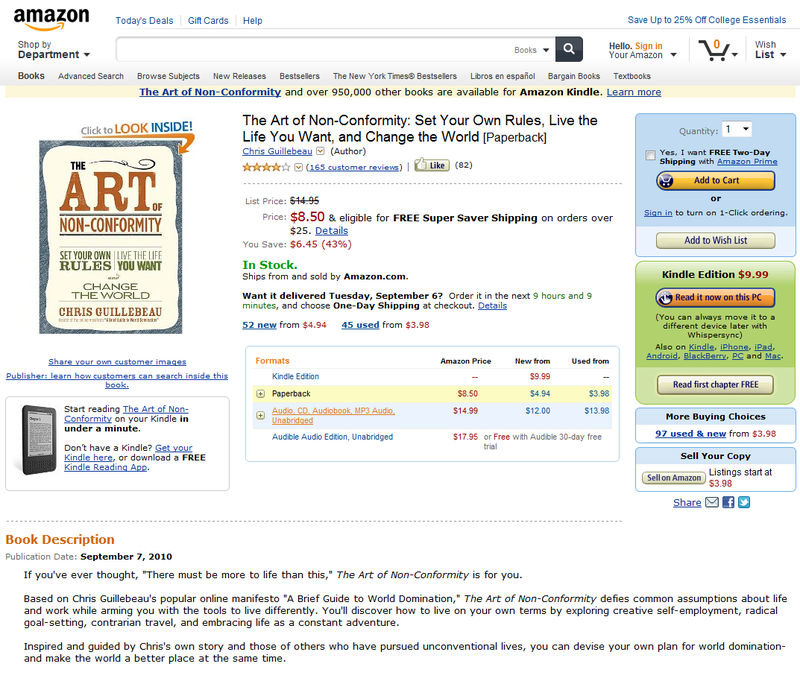 Amazon showed me a new clean look today… Nice design with lots of white. 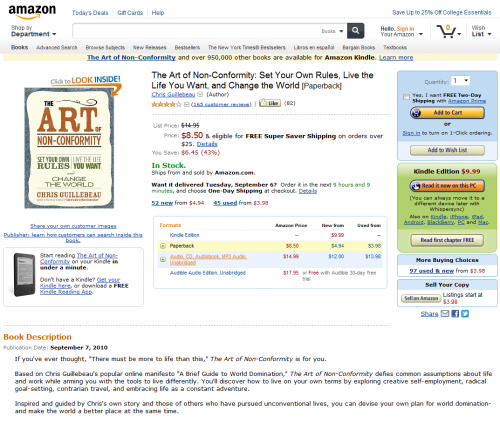 Now amazon has gone back to looking how it used to. (But I still can’t access my amazon account!!!). 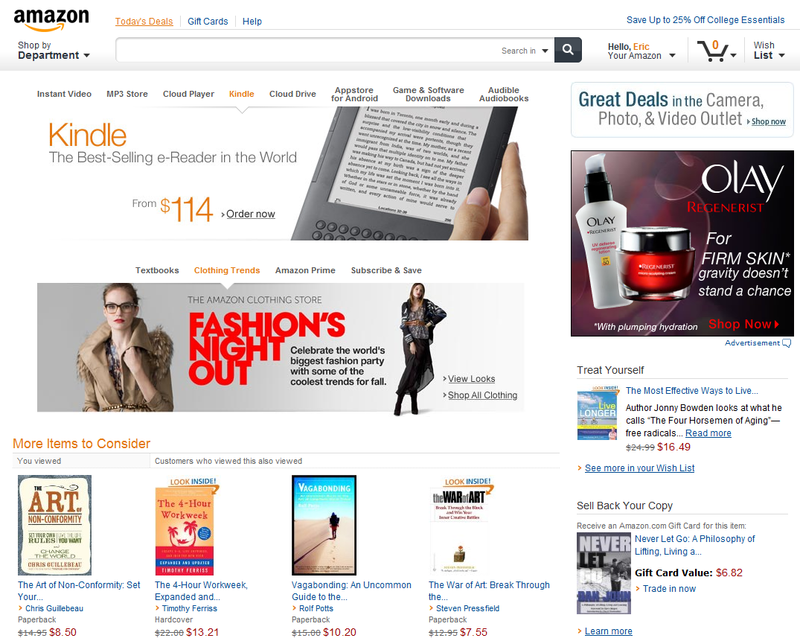 I did find this interesting article on the evolution of the amazon add to shopping cart button. I loved the new look! I see they switched it back. Sad, that 200 people without any tastes in design complain and they switch it back. Some people just can’t handle change and so in order to try to appeal to everyone companies pander to the least common denominator. Nerf the world, so that all the stupid people have equal rights with the ones who are pushing for forward progress. Sorry, I am just venting. Can you tell I am a UI designer?